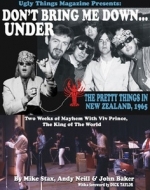 From the great Fruits De Mer label, a limited edition (1,000 only) 7" EP featuring four live tracks by the Pretty Things. 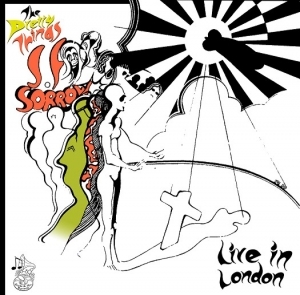 The cracking versions of "SF Sorrow is Born," "She Says Good Morning" and "Baron Saturday" were all taped live at the 100 Club in London in December 2010 on the Ronnie Lane Mobile studio. Then, dig this, a killer cover version of the Byrds' "Renaissance Fair" recorded live at the Paradiso in Amsterdam in 1969 -- the SF Sorrow era band in all their glory, nailing this primo Crosby-McGuinn composition! All songs previously unreleased. Includes a lovely gatefold cover, based on Phil May's original SF Sorrow artwork, with liner notes by Mark St John, and a poster insert.